I had no problems reformating after changing pin adapter and cover lock. I had a 20 gig and after an install of XP and some basic word processers, some virus protection and mapping, I had less than 10 gig left. It is perfect to have so much space and not worrying about filling up what little I had left. There was full documentation at the Fujitsu website including drivers. I just compared what I orignally had - MHT2020AT to the MHT2080AT and the specs worked out side by side, except for the storage capacity. I would recommend any Fujitsu drive for a laptop. works great. fast and quite. easy to install and setup. good size for home for home use in and older computer. 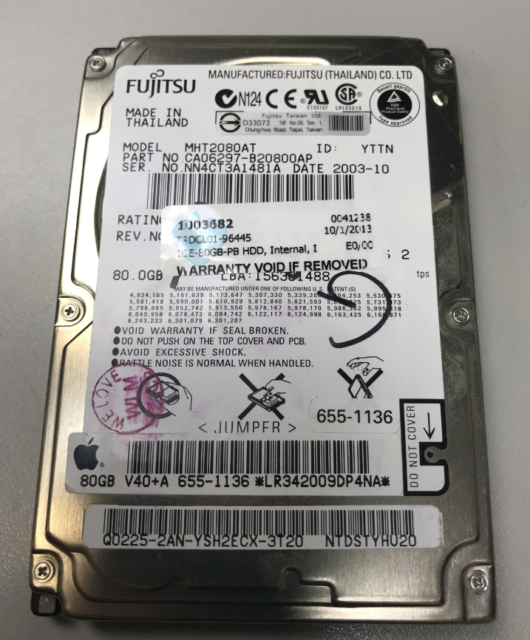 good and reliable hdd, even though the firmware was not compatible it exceeded expectations and ran smoothly. I'd recommend . It hasn't had any problems and I've had 3 fresh installs on it. works good so far. quick, quite and seems to not get too hot under normal use. overall happy with purchase.